Today there was a random thunderstorm. 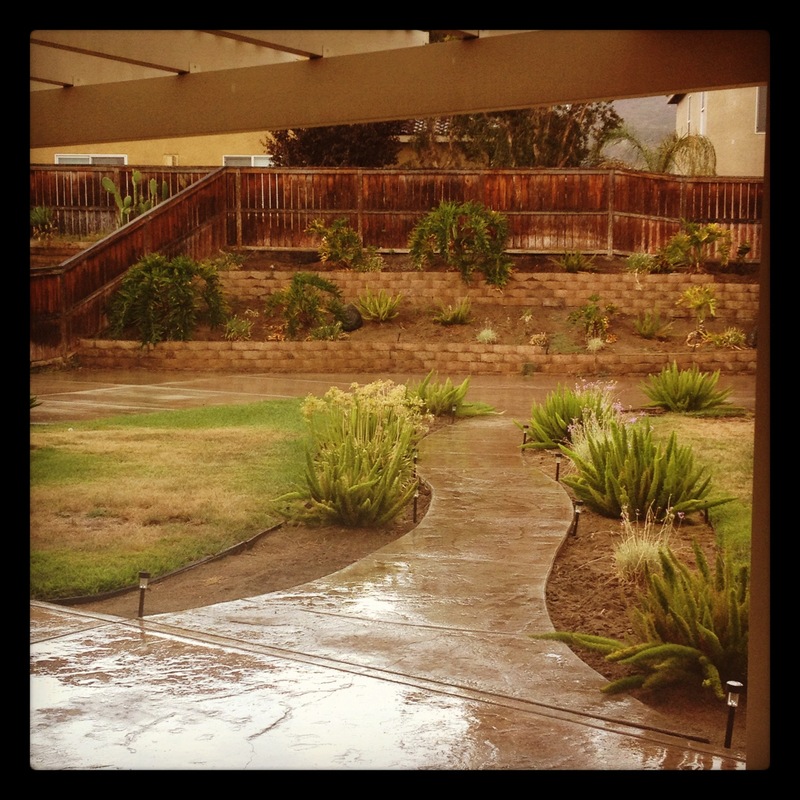 Here in southern California, we have our rainy days. But t is my opinion that we Californians are slightly underprivileged for not getting to experience those amazing eastern thunderstorms. You know, those times when you can understand and respect the power of raindrops. If we are lucky, we will get to hear booming thunder accompany the rain’s pitter-patter (sorry, I couldn’t think of a better word). But in the rare occasion of our stars aligning just right, we get to witness the awesome lightning. Today’s lightning-less thunderstorm was still appreciated. I stood at my patio door and simply watched the water fall from the sky. When I was a little boy, I used to sit at the window and just watch the rain. I liked to track a specific raindrop and follow it’s downward path till it imploded on the ground. Today as a 22 year-old, I caught myself tracking the raindrops again – I guess old habits die hard. This Sunday was a consistent stream of football games and trig homework, and today’s unexpected storm just made the Sunday even better. The rain and thunder gave me a legitimate excuse to leave my trig homework and be distracted for a few minutes. Tonight, the rain has stopped. My lighted walkway is now dry. But the effects of the storm are still lingering. In the past 30 minutes, there have been two power outages, but those just add to the excitement of the storm. I’ve always hated that children’s song that made me chant as a little boy “Rain, rain, go away….”. I want it to stay. I don’t really know how to explain it, but rain makes my world right.